Don’t let the cold and ice storms stop you from exploring the world in Toronto. Just be aware that some events could get cancelled. Be sure to telephone ahead if the weather is bad. This list of free or almost-free events in our culturally-diverse city is big on Black History and Pan-Africanism. It includes a seminar about the war in Afghanistan and sessions on French folk dancing. You can enjoy traditional Irish theatre, Korean K-Pop dance classes, and Tibetan New Year celebrations. You might want to join a First Nations Rally or take your children to a play. I’ve found something for all ages and interests in different parts of the city this, but especially downtown. And there’s much more going on. Afghanistan. Canada. Special Heritage Talk. 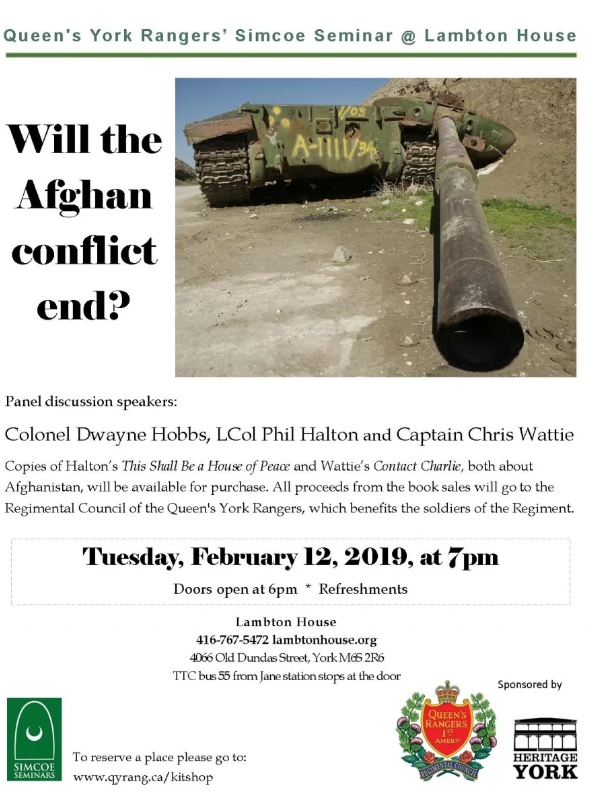 Simcoe Seminar – Conflict in Afghanistan; Will it Ever End? February 12. 7pm. “A free-will donation will be greatly appreciated.” Lambton House, 4066 Old Dundas Street. Tel. 416-767-5472. Africa. 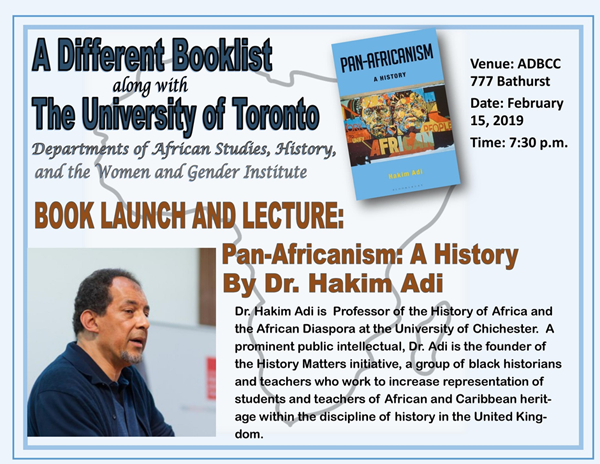 Two events on Pan-Africanism at the Different Book List, 777 Bathurst Street. Black Opera: Symposium. Uncovering Music History. February 16. 11am-5pm. Free but sold out. Toronto Reference Library, 789 Yonge Street. 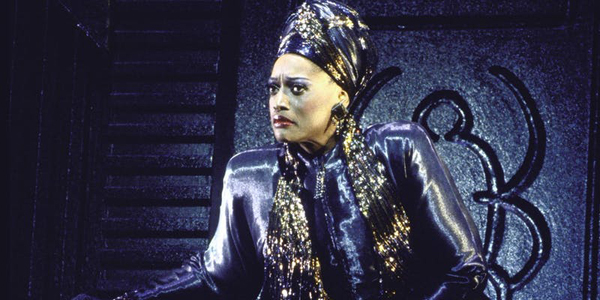 https://www.eventbrite.ca/e/black-opera-uncovering-music-history-tickets-546688224927?aff=ebdssbdestsearch. Ruth Note: Why do I tell you about a sold-out event? If you don’t want to keep missing out on important events like this one, please sign up to “Follow” Toronto Public Library on its website. 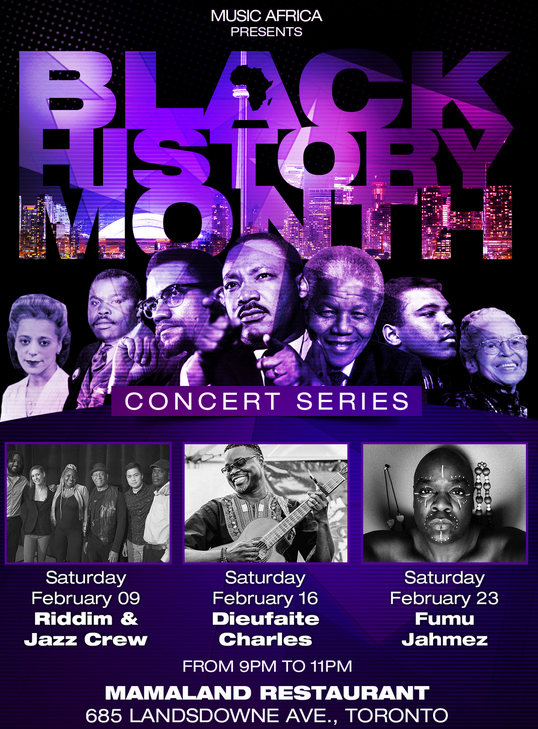 Black Music for Black History Month Celebrations Afro-Central. Friday, February 15. 2-3pm. Free. Malvern Library, 30 Sewells Road, Scarborough. Tel. 416-396-8969. 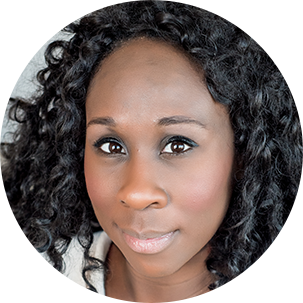 Raising Our Voices; Sharing Black Canadian Stories. February 12. 6-9pm. Free. Koerner Hall, TELUS Centre for Performance and Learning, 273 Bloor Street West. 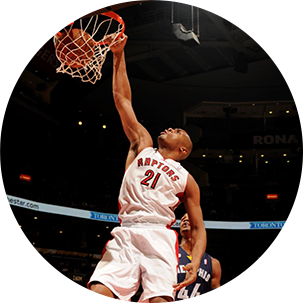 Speaker lineup includes Former NBA All-Star and Toronto Raptors Assistant Coach and Community Ambassador Jamaal D, Magloire, Chemist and CEO of Visions of Science Network for Learning Eugenia Duodu, Host of NBATV Canada’s “The Hangout” Akil Augustine, Executive Director of Rainbow Railroad Kimahli Powell and Spoken Word Artist, Author and Activist MayaSpoken. 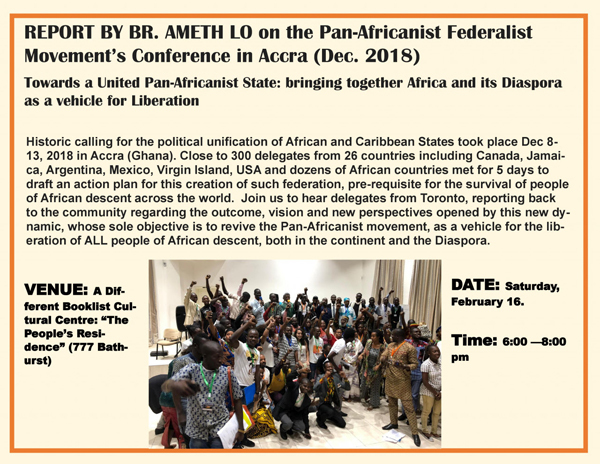 http://www.celebrateblackhistory.ca/2019-event.html. Recognize Black History Month, Documentary & Discussion: Journey to Justice. February 12. 6:30-9pm. Free. Markham Public Library, Aaniin Library, 5665 14th Avenue, Markham. https://www.eventbrite.ca/e/recognize-black-history-month-documentary-discussion-journey-to-justice-tickets-55532289573?aff=ebdssbdestsearch. 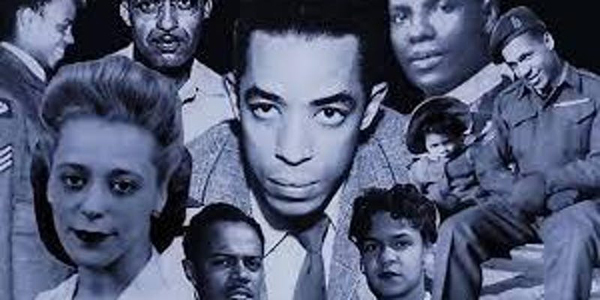 Ruth’s Note: I hope this documentary makes you aware that other groups beside Blacks were involved in the history of the civil rights movement in Ontario. We have to work at these problems, all of us together. This film Journey to Justice is available from the Toronto Public Library and on-line from the National Film Board. France. Europe. Balfolk Dancing. Every Monday. 7:30-10pm. “It’s a pay-what-you-can event! We suggest $5 to $10, but you are still welcome to join us if you can’t afford that. Drom Toberna, 458 Queen Street West. “Balfolk dancing is popular social dancing from Western Europe, a recent revival of traditional, mostly French, folk dances, Bourrées, jigues, gavotte, mazurkas, waltzes, scottishes: some partner dance, some group dance, some snakey dances. They are all fun and easy to learn, you don’t need any partners or prior experience. We’ll show you how! 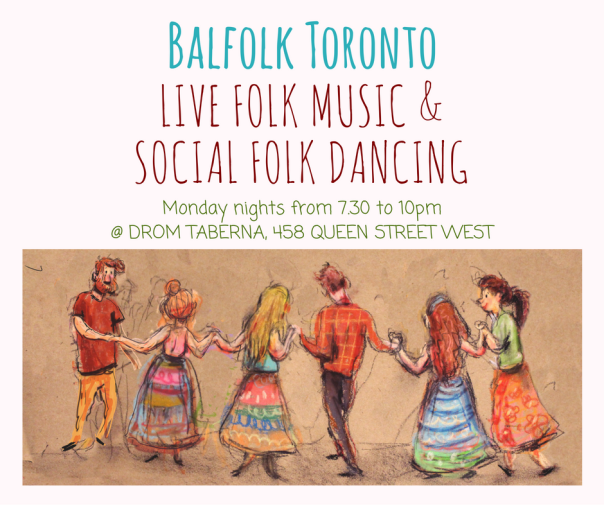 “We always dance to live music…” https://balfolktoronto.com. Tel. 416-937-6198. Ireland. 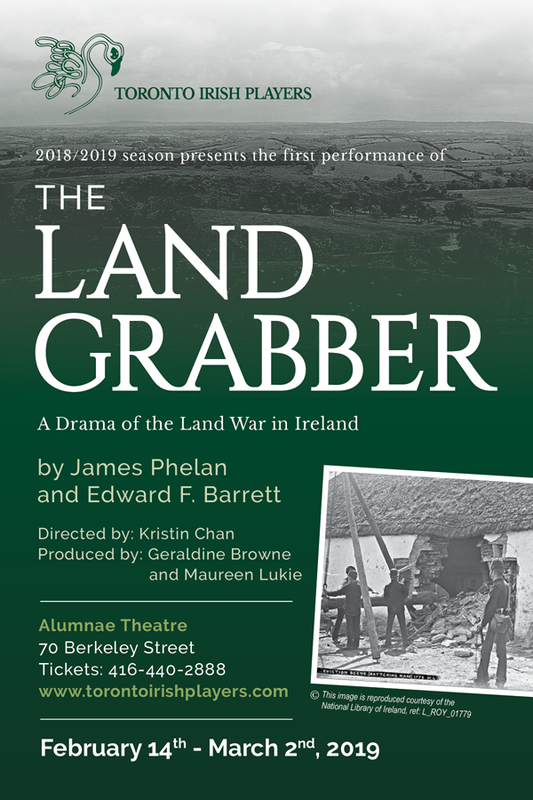 Toronto Irish Players Production “The Land Grabber”. February 14 to March 2. Thursday, February 14, 8pm. PWYC ($12 minimum). Friday, February 15. 8pm. Opening Night Reception $50; for all other performances, $25-$27. The Alumnae Theatre, 70 Berkeley Street. Japan. Valentine’s Day. February 14 celebrates love and romance. It includes the giving of cards, flowers or chocolates or other such tokens of affection to special friends and family members. 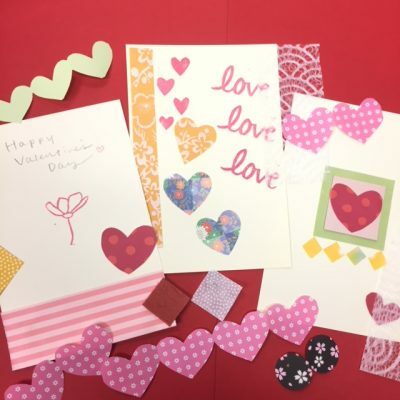 School children in lower grades sometimes give out Valentine’s cards but only to all classmates. Restaurants are busy. Image from Japan Foundation website. Tibet. Losar (New Year) Celebration. February 9. 10am. $30 includes incense ceremony, prayers, lunch, performances, speeches. Dance Party 9pm to 2am (see poster). Tibetan Canadian Cultural Centre, 40 Titan Road, Etobicoke. 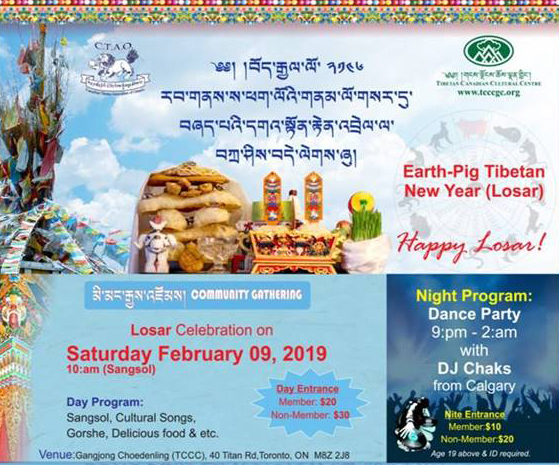 https://www.tcccgc.org/events/losar-celebration-saturday-february-9-2019. Tibet. Open Mic Night. Celebration of February 13 Tibet Independence Day. February 11. 7-10pm. $5. Station Cafe & Kitchen, 866 Bloor Street West. 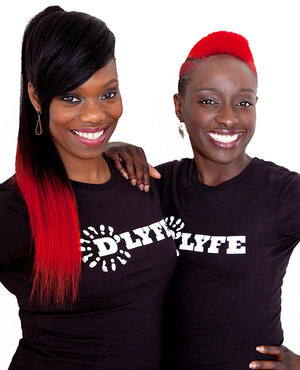 Cultural performances, poetry readings and more. 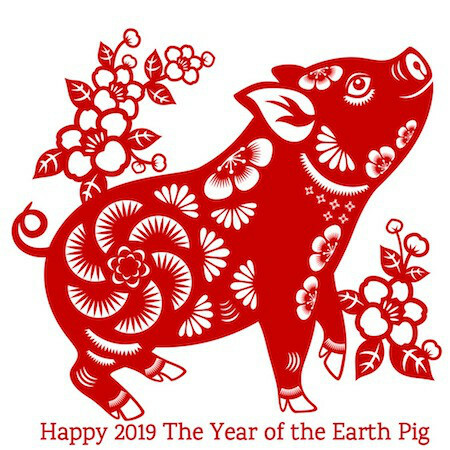 Brought to you by Students for a Free Tibet chapters UofT St. George, Ryerson York and UTM”: https://toronto.carpe-diem.events/calendar/9462607-open-mic-night-feb-13th-tibetan-independce-day-at-station-care-kitchen/. 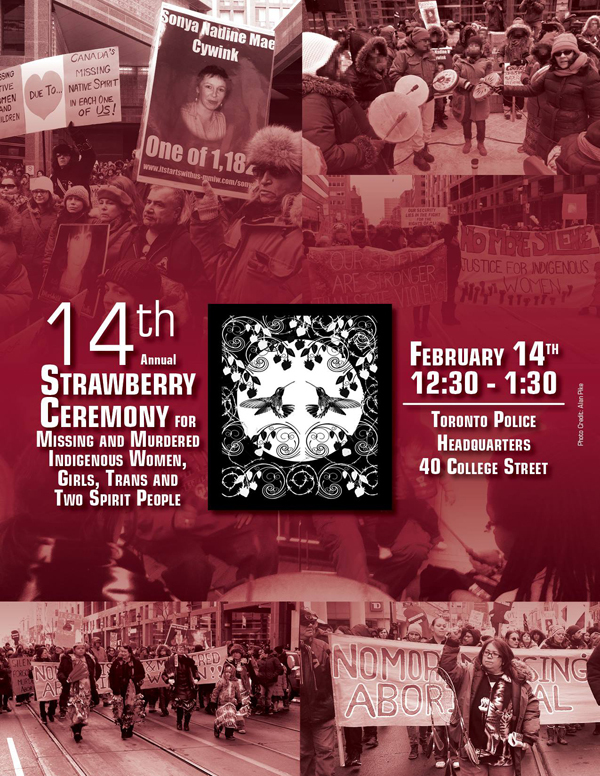 Ruth, this is another great list of cultural activities taking place in Toronto. My MD asked me how I learned about the very good talk on antisemitism denial last month and so I forwarded your multicultural report to her. Dr. Estera Bekier.